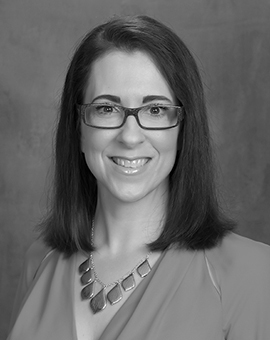 Julie Bloom is the Vice President of Marketing for Sunrise Company and is responsible for strategic planning and developing sales and marketing initiatives that drive customer acquisition and conversion. Those initiatives include customer and brand strategy, sales pricing strategy, product offering, media planning, digital platforms, CRM, creative and design development, marketing communications, public relations, events and partnerships. Mrs. Bloom is also a key member of the strategic acquisitions team for Sunrise Company and serves as a member of the Company’s senior management team and provides guidance on corporate communications, technology, market and consumer research, investor relations and data analytics. Before joining Sunrise Company in 2001, Mrs. Bloom was employed by Goswick Advertising where she specialized in real estate development marketing. She brings a creative, technical and hands on approach to marketing the Sunrise communities. Mrs. Bloom is a graduate of Northern Illinois University and Clemson University, where she received a Masters degree.